Washington DC: USINPAC continues its push for H-1B visa and green card changes. 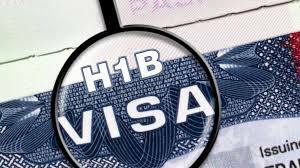 The H-1B visa is a non-immigrant visa that allows US employers to temporarily employ foreign workers in specialty occupations. According to a report in 2018, three-fourths of H-1B visa holders are Indian IT specialists. Many US employers want to retain these high-skilled workers but there is a limit, or cap, on employment-based green cards. Green card holders are non-US citizens who have been authorized to live and work permanently in the US. Right now, US law puts per-country caps on employment-based green cards, no matter how tiny an island or populous a country. USINPAC has been working to increase, or lift, the cap. ?The lift would benefit many Indian professionals who come to the US and contribute to building the American economy,? Sanjay Puri, Chairman of USINPAC said. ?The lift would also help US employers retain the employees they need to stay competitive.? ?Why should Indians be penalized due to their country of origin? Puri asked. Many lawmakers agree, and they are taking action to fix employment and family-based immigration systems that have been broken for decades. ?We thank Senator Kamala Harris and Senator Mike Lee for hearing the concerns of our community and introducing bipartisan legislation that will treat people fairly and equally by raising the per-country caps from 7% to 15%. We also appreciate Congresswoman Zoe Lofgren, Congressman Ken Buck and 112 other Members of Congress for leading House efforts,? Puri said. ?This is not the first time a bill like this has been introduced but we hope this time it will be passed by both chambers and signed into law.? The Fairness for High-Skilled Immigrants Act was introduced in the U.S. Senate on Wed. Feb. 6 and in the U.S. House of Representatives on Thursday, Feb. 7, 2019. USINPAC backs the legislation and also supports the new rules for the filing of H-1B visas proposed by the Trump Administration, which will reverse the order by which U.S. Citizenship and Immigration Services (USCIS) selects H-1B visa petitions. The new rule for H-1B filing may take effect on April 1, 2019.